The aim of this KE network is to establish the University of Sheffield as the leader for R&D relating to immersive entertainment services that could take place in autonomous vehicles. It involves the University of Sheffield pushing for ‘market readiness’ within the UK’s creative economy, to take advantage of the opportunities that will emerge within a transport environment dominated by autonomous vehicles. In the future people will no longer drive their cars, but they will still need to spend large amounts of their time as passengers in what is effectively their own private spaces (commuting to work, running domestic errands, going on holiday etc). Everyone will become a passenger rather than a driver. If we take public transport as the precedent for what passengers do when they are not responsible for controlling a vehicle, they talk to each another, look at the view, sleep, immerse themselves in work, or immerse themselves in entertainment (books, magazine, gaming, audio-visual). Entertainment is likely to be one of the chief activities that takes place in autonomous vehicles. One can envisage cars becoming the private space and medium for entirely new types of entertainment services, focused on consumption but also creativity, such as: virtual reality games in which the interior of the car effectively serves as a ‘cave’; tourism that uses augmented reality to annotate the passenger’s view of the outside world; driving simulators in which the outside environment, and the driver’s sense of motion and speed are totally different (and more interesting) than the vehicle’s real environment; or simple web browsing, in which the car’s interior becomes a different space for creating and consuming digital content such as web pages, video and sound (literally a ‘mobile device’). Although autonomous vehicles are not yet ready for the consumer, Intelligent Mobility is a UK Government technology priority for the automotive industry and part of the Industrial Strategy. 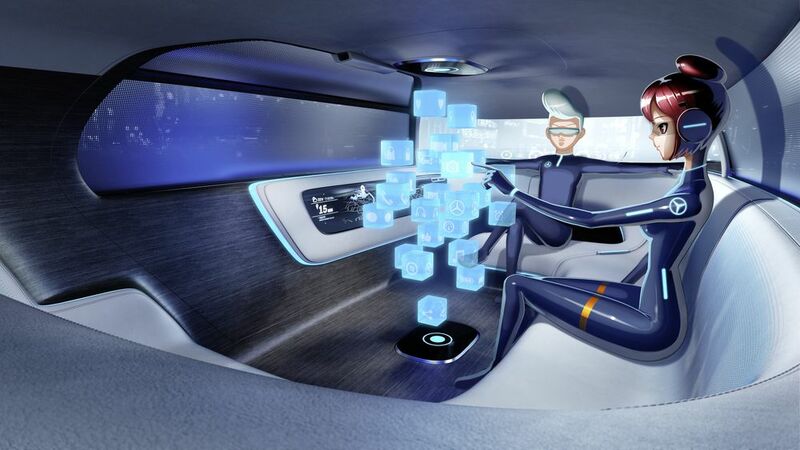 The transition to fully driverless will be incremental, but the UK’s creative economy should begin developing the partnerships, thought leadership, creative designs, and business models that will help secure it as a future world leader for in-car immersive services that focus on entertainment creativity and consumption. This KE network proposes to begin a journey of bold, creative thinking for an engineering future in which the car, as a physical, technological space for moving people from one location to another, is radically different to Henry Ford’s vision of a faster horse.